Welcome to the first in a new series of features called, Technical Answers, in which we’re going to address questions that have been put to us recently by customers regarding their real-life industrial applications. We’ve always sought to produce easy-to-understand articles that provide help and advice with every day servo and automation issues that will hopefully help all our customers. Like our Back-to-Basics article on servo motors that was a huge hit and ended up being published in Design Solutions magazine, as well as many other hopefully helpful articles and guides we’ve published over the years. In this first in the series of Technical Answers we’re going to Vienna, to visit a company operating Fuji Techno Industries Super Metering Pumps, for which we’re European agents. The pumps were on a high precision dosing application and our customer wanted to know what was the smallest speed increment that could be set on the servo motors driving them. The question was straightforward enough but, in reality, the answer is a little more complex and so we’re going to cover it in two parts. In this first part we’re going to look at what can be achieved with different motor/drive combinations and then in part two we’ll look at speed resolution. The two articles combined should provide a good understanding of the subject and the know how necessary to address the issue with confidence. When designing a drive system, particularly for critical applications, there are a number of issues that might seem self evident or obvious but are fundamental to achieve optimum performance, efficiency and accuracy. One such issue is speed control and determining the smallest speed increments that can be set on a servo motor. This was the question put to us by our customer in Vienna operating the high precision metering pumps, but this is equally relevant to any industrial application where speed control is critical. So, just as with our customer in Vienna, let us imagine you need a motor to drive a pump unit and provide a flow rate range from 0 to 500 mL/min. Due to the pump’s design the torque required to drive it over the flow rate range is relatively constant. You also wish to be able to adjust the flow rate down to 0.1 mL/min. You first need to consider the type of motor/drive combination best suited to the demands of your application. Simple Variable Frequency drive units quote speed control ranges down to as low as 1:40. 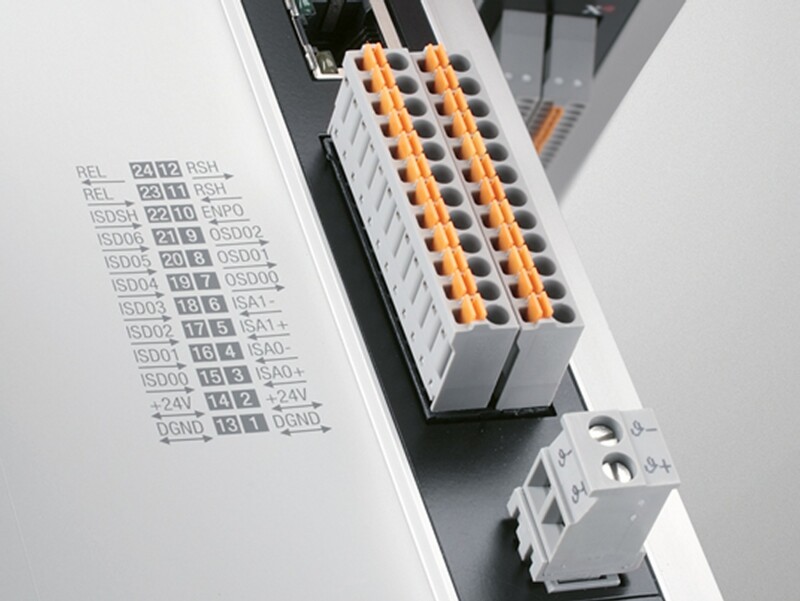 Even more capable Open Loop Vector drives enable speed control ranges as low as 1:200. 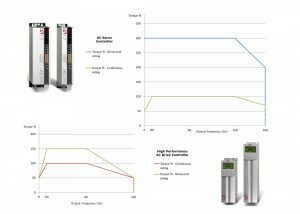 The thing is, using either of these options won’t give you the necessary control, as the Variable Frequency drive can only run down to 1:40 of its speed range, giving a minimum flow rate of 12.5mL/min. And, in the case of the Open Loop Vector drive the closest we could get would be 2.5mL/min. This is a crude example, but it makes the point. You could consider a Flux Vector drive which utilises a feedback device (typically an encoder) on the motor to achieve a speed control range of 1:1000. This would get you much closer to the desired control sensitivity, but even at 0.5 ml/min we are still out by a factor of 5. In general terms the speed control range of a servo system is not that much of a concern as it is substantially better than the other options mentioned here. Due to the closed-loop control methods and the synchronous, permanent magnet characteristics of the motor, we can achieve full torque at standstill, and, as a rule of thumb, full torque is available at up to 80% of the motors speed range with around 80% of the torque available up to the nominal speed of the motor. To put a figure on the speed control range, it is better than 1:5,000. A simple calculation, 500ml/min ÷ 5000 = 0.1ml/min, indicates that the servo solution will meet the demands of the customer exactly. For this particular requirement it’s the obvious choice, but you may want to consider that this is also the most costly option in terms of initial purchase cost. The servo system does have other advantages though, including high efficiency, that may well be worth the extra initial investment. 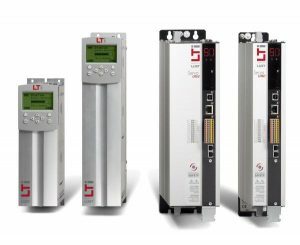 One of the main issues is that the majority of drives available on the market, whether inverter or servo, are digital and all signals to the drive are converted to allow further processing. This conversion and its resulting data need to be understood before committing to a particular drive solution. To explain this we’ll stick with the same application we considered in part one, and the company in Vienna, operating the high-precision super metering pumps. We know that the company’s engineers required a flow rate range of 0 to 500ml/minute, with the speed demand selectable in increments of 0.1ml/min. Let us imagine that the speed is to be controlled over a +/-10V analogue input. But to achieve the smallest increment of 0.1ml/min, the pump’s cam shaft needs to be turning at 0.024rpm, which is 0.6rpm on the motor. This, in turn, means that the analogue signal (+/-10VDC) needs to be stepped in less than 2mV increments.